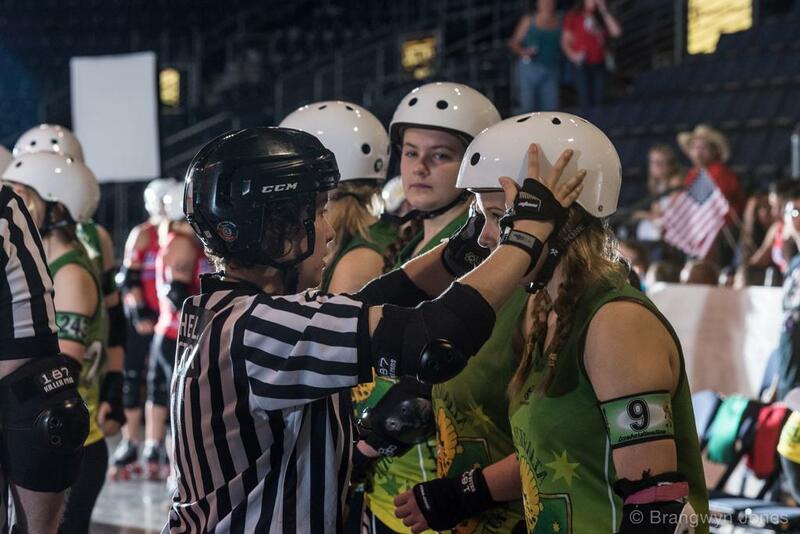 JRDA follows The Rules of Flat Track Roller Derby – officially licensed by WFTDA - with some changes to allow for skater safety, ability, and endurance, as documented in the JRDA Addenda. The JRDA Addenda detail all modifications The Rules. These rules, with Addenda, are for JRDA Regulation and Sanctioned games. All rules for junior play not specifically modified in the JRDA addends remain as published in The Rules. The Rules have been combined with the JRDA Addenda into one document, The Rules of Flat Track Roller Derby, JRDA Edition. IMPORTANT SAFETY NOTICE: Before each game, officials will ensure gear checks have been completed by either the Coaches and/or parents of the skaters. Image (c) Brangwyn Jones.